I'm very busy this week, so this will have to be a quick Squawk. (And yes, Squawker Jon and I are fine after Hurricane Irene hit the area, and we hope all of our readers are doing well.) Aside from seeing CC Sabathia finally beat the Red Sox this year, I loved seeing him all fired up when Francisco Cervelli got plunked last night by John Lackey. Great passion! And I had to laugh about Boston's selective outrage over Cervelli clapping his hands with glee after hitting a homer. How many times over the years have we Yankee fans witnessed David Ortiz and Manny Ramirez showboating after hitting homers? Both of them would be great on Broadway with their song and dance routines. Not to mention Jonathan Papelbon literally dancing on the mound after a big save. But all that is apparently fine and dandy with Red Sox Nation. Yet Francisco Cervelli shows the least bit of emotion, and the benches clear over it. Can't we just say that it's Frankie Being Frankie, and leave it at that? Good grief. On Tuesday night, Javier Vazquez pitched seven shutout innings as the Marlins beat the Mets, 6-0. In 2010, Vazquez won a total of three games in New York all season. In his two stints as a Yankee, Vazquez managed as many as six shutout innings while pitching in New York only once - and that was also at Citi Field, on May 21, 2010. It was the second time this month that Vazquez pitched well in New York. On August 1, Vazquez allowed one run in seven innings at Citi Field, getting a no-decision in a 7-3 Marlins win. After an awful first half, Vazquez has found his form, with quality starts in 11 of his last 12 appearances. If the stingy Marlins cut Vazquez loose after the season, would the Mets give him a look if the price were right? Yes, Vazquez was terrible last year in the Bronx, but he does have years of success in the NL East. Those numbers look pretty similar, whether or not you are smoking the objective pipe. I am going to be on South Florida's WFTL Sports radio station today, on the New York Sports Report. You can hear me squawk with Larry Milian -- aka The Amigo -- and co-host Phil Dizz at 11:05 a.m. today. I will be talking about the Yankees, Hurricane Irene, and Hurricane A.J. !Go here to listen live online, or turn your AM dial to 640 if you are in the Miami area. What's More Shocking: That the Yankees Hit Three Grand Slams in One Game, or That Derek Jeter and Minka Kelly Broke Up? It was a big day in Yankeeland, with them overcoming a 7-1 lead to win, 22-9 thanks to a record-setting three grand slams in one game. Then I woke up this morning to hear the really big news, that Derek Jeter and Minka Kelly have broken up. Remember Derek Jeter's stated reason for having HBO cameras film for a documentary, including all sorts of footage of him with Kelly? He said it was so when he had kids, they could see what he was like as a player? (Yes, because Jeter just languished in obscurity all those years -- until allowing HBO to film him, all they would have had were some old kinescope clips!) Now any future children will see him with the woman who is not their mother. Awkward! Anyhow, ever since Jeter went on a hot streak since hitting DJ3K, I've heard some fans suggesting that anybody who fretted over his career decline over the past year owes an apology, needs to eat crow, blah, blah, blah. Um, no. We're not talking about, say, writing Mariano Rivera's career off when he blew three games in a row earlier this month. We're talking about over a year's worth of data. The captain hit .270 in 2010. And for an entire year -- June 2010 to June 2011 -- he hit .255, with a .666 OPS. And his power has been way down. It was not unreasonable to talk about him slipping, no matter how well he has hit over the past month and a half. And if this issue involved any other player, nobody would feel such a need to do this "I told you so" thing. But this is Derek Jeter we're talking about, and he's never allowed to get any criticism, ever, without the "Shut Up, He's Got Five Rings" contingent having a hissy fit. I'm glad Jeter's doing better right now, because it's helping the team win more games. Isn't that enough? Did you feel the earthquake yesterday? I did, as did Squawker Jon, although neither of us quite realized what it was at first. Then, we heard what it was, we both wondered if some bitter MLB writer would find a way to blame it on Alex Rodriugez. After all, A-Rod gets blamed for everything these days. So, given that he jammed his thumb this week, we figured the injury could be blamed on him shaking the earth to cause the quake! Thus, today's silly headline. Speaking of A-Rod, the New York Post has written about the latest casino kerfuffle.Alex reportedly went to Ruth's Chris Steak House at Mohegan Sun, tipped $100 on a $260 meal, and still had some snarky waitress say Jeter was better. And he was also criticized for supposedly not wanting to pose for photos at the casino saddened somebody who watched it. Um, A-Rod not posing for a photo at Mohegan Sun that could end up being sold for five or six figures to the, um, New York Post is about the most sensible thing he's done all year! According to TheDay.com, "Soper said the casino does not generally discuss what celebrities do at the casino but noted he wanted to set the record straight about Rodriguez’ visit." But even though the New York Post story was updated more than once, they somehow never got around to including that quote. Neither did most of the other breathless reports about A-Rod at a casino. Shocker, I know. Oh, please. Aside from the fact that Cashman has to bring down other players to A.J. 's level to prove his point, his argument is stupid. Nobody would be mad if Burnett was cursing at himself over his poor performance. But instead, he cursed at Joe Girardi, his manager, something The Powers that Be in Yankeeland don't want to acknowledge, and something that none of his other teammates have done for the world to see. At any rate, plenty of times in the postgame Burnett was practically singing "Zip-a-Dee-Doo-Dah" in interviews, not seeming the least bit upset. Of course, if some reporter were to point that out to Cashman, he'd find a way to defend that, too. Squawker Jon and I went to Asbury Park for a day of fun in the sun at the beach, so I missed most of last night's game. 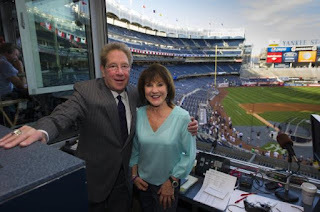 When I got into the car to head home, I heard John Sterling and Suzyn Waldman talk about the 9-1 score, and how Aaron Laffey did a good job after the game was out of reach. They went on and on about Laffey, without ever mentioning who put the Yankees in the hole in the first place -- A.J. Burnett! Anyhow, when I got home, I looked up what happened, and made a snarky remark on Facebook referencing Brian Cashman's Objective Pipe, I wondered how he would insist that A.J. really had a good game, even though he gave up seven runs in 1 2/3 innings. Then I heard from Facebook friends about A.J. 's hissy fit -- how he cursed at Joe Girardi when taken out of the game, saying "That's B*llsh*t," and stormed into the clubhouse after being removed. Then Girardi followed him into the clubhouse, with the body language of an angry father. A.J. came back into the dugout, then left again, after the runs scored, before the inning was over. I couldn't quite believe Burnett would be so outrageous, but sure enough, the clips shown in the postgame showed exactly that. To their credit, YES analysts Ken Singleton and Bob Lorenz were very critical of what A.J. did, and called it like they saw it. My thoughts after seeing Burnett in action was to channel a Hank Hill line, about how "That boy ain't right." Look, there are plenty of times when the media makes something out of nothing -- like Mark Feinsand's absolutely shameful attempt to link Alex Rodriguez to the University of Miami football scandal because A-Rod is on the school's Board of Trustees, even though there isn't a shred of evidence linking A-Rod to it. But the Burnett issue isn't one of them. For one thing, Burnett was looking at Girardi, not the ump, when he cursed. Second, according to Burnett, Girardi asked him if the comment was directed at him. And finally, Burnett has a history of losing his cool like this -- it wasn't reported much at the time, but Burnett started taking off his uniform in the dugout after being taken out of a White Sox game a few weeks ago. Also, remember how he cut up his hands after slamming them on the clubhouse door last year? Either Joe Girardi is one of the staunchest managerial defenders of any and all players who have ever worn a Yankee uniform or he is a lot more afraid of his own players than he is of looking foolish and untruthful on live television. There really is no third choice. "A.J. was angry at himself," Girardi said afterward. Well, it's about time someone other than A.J. got angry at A.J. Someone like the manager, who turns the other cheek each time he gets his face publicly spat on, or the GM who signed Burnett to the five-year, $82.5 million deal and now admonishes fans to "smoke the objective pipe" and see A.J. through pinstriped glasses. I completely agree. Enough is enough. Burnett needs to be taken out of the rotation. Now. How can there be any justification for keeping him in, when Phil Hughes is pitching his heart out these days -- and acting a heck of a lot mature, to boot. As for Burnett, that boy ain't right. And somebody needs to be a grownup in Yankeeland and hold him accountable until he gets right. I was listening to much of Saturday's Yankee game live on the radio. And when Jorge Posada was 3-for-5 in the game with six RBIs (thanks in part to hitting a grand slam), after not playing for a week, I said to Squawker Jon that Jorge ought to announce his retirement right then and there after the game. After all, he is most likely never going to have another day like that in his career, so he might as well end his career on a high note, after getting a curtain call from the hometown fans. Jon said that retiring would be perceived as Posada quitting on his team. We disagreed on that (I argued that a part-time player retiring would hardly be like the Carlos Zambrano hissy fit the other night.) But both of us would agree that 2011 will be Posada's last year. Yet today's New York Post suggests that Posada wants to play again in 2012, even if it means playing for another team. Posada, a career-long Yankee who is celebrating his 20th year with the organization, said he would consider playing for another team once his contract is up at the end of this season. "It could [happen]," Posada told The Post yesterday. "I don't know what's going to happen after this year. But we'll see." Right, because MLB teams are going to be lining up to sign a 40-year-old catcher who can't throw anymore. Or maybe it's that they want him to DH with that stellar .237 BA and .700 OPS. Not to be mean, but those are the facts. Posada was never Jason Varitek, a catcher that pitchers loved to throw to. Posada was a great catcher primarily because he was a great hitter. But he also used to be able to throw guys out as well. By the summer of 2010, that part of his game was gone for good, with opponents running wild on him. Remember when the Red Sox did a double steal on him twice in one inning? Anyhow, I get that ballplayers are competitive, but at a certain point, a player has to realize when it's time to say goodbye. If Posada didn't have the pedigree, and the rings, and that whole Core Four connection, chances are he would have been released months ago, and sitting at home collecting the rest of the $13.1 million he is owed for 2011. In the Post article, Jorge brings up how the New York Mets wanted to give him a five-year deal after the 2007, and he was "very close" to moving to Flushing. But he also batted .338 that season, with a .970 OPS. Big difference. At any rate, thanks to Omar Minaya being seen with Posada at Le Cirque, he got the fourth year he coveted from the Yanks, the year they didn't originally want to give him. Posada should be happy that he got that, and realize that the end is near. I think I can safely assume that no MLB team is going to sign Posada to a major-league contract in 2012. But he might get a minor-league offer from somebody else. Is Posada really going to want to do that -- ride the buses with the kids, hoping for another shot at the big time? Come on now. Posada has had a great career. He ought to figure this is his last year, and begin to accept that his career is nearly over. Just because he had one stellar day doesn't mean that he's a viable MLB player for 2012. I've been saying for months that New York Yankees General Manager Brian Cashman has gone into Joe Torre mode, where he thinks his you-know-what don't stink. And, like what happened with Torre in later years, anybody who says the mildest criticism about his decision-making gets lambasted. Cashman is now outraged that the media and the Yankee fan base has lost patience with A.J. Burnett, with many of them thinking that Burnett should lose his spot in the current six-man rotation. So Cash launched an epic whine yesterday, complaining about how anybody who thought that way was "stupid." Cashman said he thought Burnett's failures were blown out of proportion, and called it a "bull - - - - emotional response to stuff that doesn't accurately reflect reality." Really? Having an 8-9 record, with a 4.60 ERA and a 1.36 WHIP when you're supposed to be this team's No. 2 starter is "solid"? Spare me. Granted, compared to A.J. 's 2010 10-15, 5.26 ERA, 1.51 WHIP record, one of the all-time worst Yankee pitching seasons ever, it looks like he's made progress. (Burnett's overall Yankee record is 31-33, with a 4.61 ERA and a 1.43 WHIP.) But that's the thing -- for the third year in a row, Burnett got off to a pretty good start, then tanked as the year progressed. Burnett hasn't won a game this year since June 29, and he is yet to have a Yankee win in August. Those are indeed facts, not emotions. The only Yankee Burnett's numbers look good compared to are Phil Hughes, but at least Hughes has shown some progress since returning from the DL. "We've got six guys who are capable of pitching in a rotation in a pennant race," Cashman said. "That's a good thing. Someone is going to have to go, and we're going to make that decision. But this stuff about [whether] A.J. Burnett is worthy of being ripped from the rotation is a bunch of crap." "I encourage everybody to just break it down," Cashman said. "Break it down. Compare him to other people. Look at his start-by-start. Look at his run support. If you smoke the objective pipe, I think the coverage on him would be a little smoother, more accurate." Again, it's insulting that Cash thinks daring to ponder whether Burnett should be taken out of the rotation is such a terrible "crap" idea. • Of all pitchers who qualify for the ERA title, Burnett ranks 91st (4.60). • As far as run support is concerned, Burnett ranks 27th in the majors (6.84). • He hasn't won since June 29 and is 0-3 with a 6.00 ERA during that stretch (seven starts). • He hasn't won an August start in his two-plus seasons with the Yankees (0-8, 7.18). So much for the stats proving A.J's really doing great! "I have more objectivity than most of us, let's put it that way. I'm just used to the [expletive] emotional response to stuff that doesn't really reflect reality. A.J. Burnett is not pitching anywhere close to as bad as people say." Oh, please. First of all, I don't really believe anybody is truly objective. The most we can strive for is to be fair. And the idea that Cashman is really objective is nonsense. At any rate, I find it rich that a professional who can't manage to get through a few sentences in this interview without cursing and calling others "stupid" and "emotional" is complaining about others not being objective. Cashman ain't exactly acting like Mr. Spock here! Gee, you think money has something to do with it, Cash? If Burnett were making the major league minimum, would he even have been on the team after 2010? The answer is no. Of course it matters. But that's not the only issue here. I actually like Burnett -- he would be the current Yankee player I would most like to go have a liquid refreshment with -- and I think he was a critical part of the 2009 World Series championship. If he didn't win Game 2, I don't think the Yanks would have won the series. However, the facts are that 1) Burnett has melted down repeatedly in the second half, and 2) his post-game interview comments have been abysmal, where he has been in denial about his poor pitching, like when he said after his last start he wouldn't do anything differently. And given that Cashman lost faith in Ian Kennedy after the pitcher gave one dopey interview, and ended up trading him, he's showing a bit of a double standard here. Funny, Cashman's acolytes love to say how honest he is. No, he's not. He's all about avoiding blame, and criticizing others, and making everybody the bad guy but him. When you make fun of your own fan base, the people who buy your team's tickets that help fund your $200+ million payroll, and call them "stupid" and "emotional," you're not being honest, you're just being an ungrateful jerk. Squawker Lisa will be on the radio at 1:20 p.m. today, squawking about the Yankees. You can hear her talking to host Mike Lindsley on Syracuse's The Score 1260 AM. Click here to listen live online. Does A.J. Burnett Look (And Pitch) Like Chord Overstreet From Glee? Aside from A.J. Burnett *still* keeping his record of never having a Yankee victory in August, he also debuted a new super-blond hairdo last night. When I saw A.J. in the postgame, I thought he looked like Chord Overstreet from "Glee," aka "Trouty Mouth, as Santana on the show calls him. But a longtime reader pointed out that A.J. looked more like Gomer Pyle in this pic. Shazam! Anyhow, every time Burnett has a bad outing, which is all too often lately, Twitter and Facebook and Yankees message boards blow up with outraged fans demanding that he be released, traded, or sent to the minors. But guess what? None of that is going to happen. There is still $36+ million left on Burnett's contract. Short of picking up 90 percent of the salary, the Yankees are not going to be able to find anybody to trade Burnett to. And MLB rules prevent him from being sent to the minors. And forget about releasing him outright. If the Yanks wouldn't release Kevin Brown after he punched a wall, and wouldn't release Carl Pavano after all his issue, what are the chances they are going to release Burnett? Two chances: slim and none. The other thing fans blew up over last night was Mariano Rivera giving up a two-run homer to Bobby Abreu to give the Angels the victory. People were very upset, and worrying if the end is near. I'm not. At least not just yet. It seems that every time Rivera has a bad game, it's more like multiple bad outings in a row, not just one. They come in bunches. If the two or three awful games becomes five or six, then I will worry. But not just yet. One other note -- I laughed over the guy in the very cool "Low-Wage Puppet" t-shirt trying to hand money to Torii Hunter to get his eyeglasses back (his glasses had knocked over into the outfield!) Hunter gave him the glasses back, but didn't take the money. Fun moment! Jorge Posada is no longer an everyday player, and it was long past time to do so. I've heard some grumbling from fans that the Yankees somehow disrepected him, but I completely disagree. (For one thing, I wish somebody would disrespect me by paying me $12 million a year!) And quite frankly, I don't have a whole lot of sympathy for Posada after his sit-down strike. Posada has had a great career, and been a beloved Yankee, but that snit fit was ridiculous. Some fans think that he shouldn't have even been replaced as catcher, which I don't understand at all. Did they watch how Posada couldn't throw anybody out last year? Not to mention that the Yanks were worried he was going to have another concussion. Besides, he's nearly 40 -- how many catchers are successful at that age? Carlton Fisk, but that's about it. Posada has had all year to get adjusted to being a designated hitter. He couldn't do it. That's baseball. And that's getting older. Putting a DH in the lineup every day who hits .230, and who hasn't shown power recently, isn't putting the best team on the field. So don't be surprised if Jesus Montero gets called up soon. At any rate, if Posada weren't Posada, he would have been released from the team. The Yanks are showing him respect by keeping him on the team at all. Guess what? Players gets their chance to start in the majors because somebody thinks they will be better than their predecessor. If the Yankees had been sentimental about Joe Girardi's triple to win the 1996 World Series, Posada would never have gotten to start. Hearing the ESPN broadcasters go on and on about how wonderful the Red Sox are was thoroughly nauseating. Please, don't tell me that if I don't like Dustin Pedroia, I don't like baseball. It's insulting. Not to mention that the Sox got to have Curt Schilling representing them, while there was no pro-Yankee equivalent in the booth. The only thing I agreed with regarding the broadcasters was Bobby Valentine talking about how the pitchers needed to speed things up. Enough already -- these Yankees-Red Sox games go on way too long. On Saturday night, I went to a Met game without Squawker Lisa, and the Mets not only won, but hit four homers in the process. I was sure it would be announced after the game that Braves starter Tommy Hanson was hurt - how else could he give up homers at Citi Field to the likes of Jason Bay, Josh Thole and Justin Turner (twice)? Bay, Thole and Turner had a combined total of ten homers coming into the game. By hitting his eighth homer, Bay moves into a tie with David Wright for the team lead in homers among players still on the roster (Carlos Beltran had 15). In other words, if Jorge Posada were on the Mets (a move neither fan base would want to see), his nine homers would lead the active roster. When the Mets fell behind, 5-2, in the third, it didn't look good, but the 2011 Mets have shown that you should never count them out. Still, I never would have guessed that the Mets would knock out star pitcher Hanson in the fourth inning with no sign of injury. But speaking of injury, the 2011 Mets make it necessary to celebrate the good times when they happen, because they don't last too long. By the time I'm finishing up this blog entry, Jose Reyes has left Sunday's game with another hamstring injury and all the homers flying out of Citi Field today so far are off the bats of the Braves. Sunday's game so far is the kind of game I usually get when I go with Lisa! Lisa, I see that you blogged earlier today on a new book written by a Yankee batboy named Luis Castillo. If former Met Castillo actually had been a Yankee batboy, that would explain a lot. A-Rod hits an embarrassing popup that will apparently end a Subway Series game with a Yankee loss, but then someone named Luis Castillo drops the popup. You mention that the book discusses how A-Rod initially tipped batboy Castillo less than other stars did, but then increased the size of his tips. Hmm. After last night's Yankees' loss, instead of trying to figure out why CC Sabathia can't beat the Red Sox, I was Googling to find out more information about a new book about the Yankees. Clubhouse Confidential: A Yankee Bat Boy's Insider Tale of Wild Nights, Gambling, and Good Times with Modern Baseball's Greatest Team is written by Luis Castillo, aka Luigi Squeegee, a former Yankee batboy and clubbie who worked for the team from 1998 to 2005. Reportedly now all people now who work around the team have to sign confidentiality agreements, but he was the last of the era that didn't have to. Anyhow, Google Books has some pages online from the book. One of the more interesting tidbits I read last night from the excerpt was that not only was Roger Clemens (who comes off fairly well in it) extremely upset with himself for hitting Mike Piazza, but that he sent Brian McNamee over to the Mets' clubhhouse to get word to him that he was sorry! Heh. The excerpt I read also talked about how Clemens filmed the 2003 rookie hazing costume event which featured Hideki Matsui bopping around the clubhouse in that infamous pimp costume. Heck, the Rocket ought to put that on DVD to finance his defense costs! Longtime Squawker readers know how I complained for years about Joe Torre snoozing in the dugout, and not paying attention to what was going on in the game. There may be a reason behind that -- according to "Clubhouse Confidential," he was more concerned about his bets on horse races than he was on the game! During a late-season game, Torre once asked Castillo to do him a favor. "Go down to my office," he said. "I want you to check the score on the Off-Track Betting channel and see who won." I was stunned. It was during a game! I had never before been asked to leave my post. "Make sure you find out the exact track and horse," he added. I ran down into the clubhouse and found the attendant, Joe Lee. "Joe, Mr. T just asked me to find out something about which horses won," I said. "What's he talking about?" Lee was chewing gum and looked unimpressed about the whole thing. "Yeah," he said. "Don't you know why he's got that TV in his office? It's usually just tuned to one channel." "What's that, the YES Network?" Yikes! Lee helped Castillo figure out the results of the race and write them down. I jogged up to the dugout and gave them to Torre, who grabbed the paper and studied it like his life depended on it. When he had discovered the information he wanted, he turned to Don Zimmer and showed it to him. The older man's eyes lit up, and before I left they were talking excitedly not about the next batter but the OTB results! Are you kidding me? Hey, where's the MLB investigation on Torre paying attention to gambling on horses during a ballgame? This anecdote was at the bottom of the five-page online article, but I thought it was the most devastating. Torre was the highest-paid manager in MLB history. It's not too much to expect him to pay attention to the game, instead of his horse racing bets, when he's doing his job. Torre's love for the ponies is well-known. Heck, he has owned several horses that run in races. But that's okay by MLB standards, but A-Rod playing poker in the offseason with Hollywood A-listers is the crime of the century. Can you say double standard? Castillo clearly likes Derek Jeter, if the excerpt is any indication. It was Jeter who came up with the Luigi Squeegee nickname for him. And every day, he would greet the 14-and-15 year old bat boys with this: "How're you doin', biatches?" Classy! And when Bill Clinton once came into the clubhouse after leaving office, most players, according to the article, were formal and polite with him. Jeter, on the other hand, before heading into a game, greeted him by saying, "Hey, Mr. President, you staying out of trouble?" Jeter didn't even stop to have a chat, he continued out to the field. The confused expression on Clinton's face said it all: Here was a man so shot up with confidence that even running into the president didn't make him miss a beat. I'm sorry, but if you talk that way to a president, you're kind of a jerk. And any other player would be chastised by the media for doing such a thing. But Teflon Jeter does it, and it just shows that he's 'shot up with confidence." Sorry, the word isn't "confidence," it's "arrogance." I had to chuckle at how he aped the captain. For example, Jeter and some of the other guys were terrific tippers. Roger Clemens gave me $3,000 at the end of the year. Posada gave me $7,000. A-Rod might come in with $1,400. Sure, it's still a sizable amount, but when he found out that other players were tipping higher, he had to imitate them, and he bumped his tips up. In fact, he had to make sure he was the best tipper in the league. He even tipped me $100 a week to make sure there was a creatine shake waiting for him after each home game. Anyhow, I dunno if I buy the whole aping the captain thing. Rodriguez was the highest-paid player in MLB baseball history, and after finding out what others tipped, he wanted to make sure he was the best tipper. That sounds like a positive character trait to me. Although he did tip well, Rodriguez seems pretty high-maintenance -- Castillo had to put the toothpaste on the toothbrush for him and lay out his uniform just so. (It remind me a little of when the artist formerly known as Puff Daddy had that guy Fonzworth Bentley carry his umbrella for him!) And Rodriguez sounded more than a little full of himself, as with the bragging in the dugout about his home runs. There's also stuff in the excerpt about how Jeter would get his personal trainer to approach women for him, and Rodriguez being out with two blondes. Anyhow, I will definitely check out this book -- it's coming out next week. Last night's game had a little bit of an August 2009 feel to it. Remember how the Yankees lost eight games in a row to the Red Sox, then how good it felt when they actually won one? That was the relief I felt Friday. That, combined with the Yankees getting first place all to themselves, felt pretty good. But I certainly didn't see that Joe Girardi removing Bartolo Colon for Boone Logan in the fifth inning with the bases loaded would end well. Yet it did. Hooray. The win was the high point of the year so far for the Yanks. While I'm watching today's Yankees-Red Sox matchup, I wanted to squawk a bit about a few annoying, insufferable people in Red Sox Nation. Specifically, David Ortiz and Larry Lucchino. Big Papi ought to be called Big Baby, or maybe Big Phony. For all his reputation of being a jovial, loveable guy, he's constantly getting into dust-ups, cursing up a storm, and acting like a real jerk. Remember his immature act about finally getting plunked by a Yankee this year? Not to mention that whole "looking for the real juicers" thing. This month marks the second anniversary of the news that Ortiz was on The List of those who tested positive for performance-enhancing drugs. And although he promised then to find out why he was on the list. He never did. Shocker! Anyhow, after finding out that a scorer's decision cost him an RBI, Big Baby stormed into Terry Francona's pre-game press conference, curses flying, to complain about the decision. You can see the video here. Whatta jerk. "Every once in a while, you've got to prime the pump." Then Lucchino said, "We don't spend money on free agents with any sort of frequency or regularity the way some East teams do. We rely primarily on homegrown players and the players we trade for (Gonzalez came in a trade with San Diego). But you can never eliminate any source of acquisition, including free agency, and we dip into the pool from time to time when we feel we must." Yeah, right. The Red Sox's payroll is $163 million, second only to the Yankees' $207 million. Oh, and those other teams in the AL East he referred too? Baltimore's payroll is $86 million, the Blue Jays' is $70 million, and the Rays is $42 million. What in the world is Larry talking about? As much as Lucchino wants to pretend that his gutty, gritty Red Sox were all acquired via the farm system and savvy trades, not only have the Sox signed a ton of free agents, but their recent trades are money-oriented, too. Do you think, say, the Pirates could have gotten Adrian Gonzalez? Um, no. The Sox were able to trade him this winter because they had the money to sign him to a big deal. Incidentally, Boston's fake "not re-signing him until after Opening Day to avoid luxury taxes" deal would have caused an MLB investigation if the Yanks had ever tried it. How many homegrown players were on the 2004 Red Sox? Kevin Youkilis? There's a few more on the 2007 Red Sox, but the vast majority of that team were people the Sox could sign or trade for because the team has money. And who are the people who make the most money for the Sox? Josh Beckett, John Lackey, Carl Crawford, J.D. Drew, David Ortiz, Kevin Youkilis, Daisuke Matsuzaka, and Jonathan Papelbon all make over $10 million this year. Only Youkilis and Cinco Dopo are homegrown. Lucchino likes to pretend the Sox just "dip into the pool from time to time," but it sure looks like they're in the deep end! Look, I am well aware that the Yankees also have an economic advantage, too -- it comes with having a rabid fan base and an ownership willing to spend. That's something to be proud of, not ashamed of. But please, don't insult my intelligence by pretending that the Sox don't do the very same thing the Yankees do. What do you think? Tell us about it. Not to put on a tin foil hat here, but isn't it interesting timing that the Alex Rodriguez poker story broke this week just in time for the Yankees-Red Sox series? Especially given that two of the games will be nationally televised, which means that we can have Tim McCarver tell us about how in his day, Bob Gibson would never play poker. And ESPN's broadcasters can be shocked, shocked, that any ballplayer would ever be playing cards for money. You know, just the way that when A-Rod was caught cheating on his wife, they all pretended to act like he was the only baseball player to ever do such a thing? Yes, I'm pretty cynical, but here's the thing. This is not even a new story that just happened to break about ARod; this is a story that was originally published over a month ago. So why is it being regurgitated again? * The week of July 1, Star Magazine ran a story about A-Rod being involved in high-stakes Hollywood poker games. Patrick Courtney, MLB Senior Vice President Of Public Relations, told RadarOnline, The Star's online partner, "This is the first we have heard about this and we will look into it." The New York Daily News wrote about the article July 1, but the story didn't get much traction. * A month later, just in time for the Yankees getting national media attention via Fox and ESPN game broadcasts, Star Magazine runs another story about the exact same topic -- A-Rod playing poker at these high-stakes Hollywood poker games. But they threw in some salacious details to get more media attention. There was titillating details about a near-fight, about some poker player using cocaine, and about rumors of sexual shenanigans as well. They re-released the story again this week, just in time for Yankees-Red Sox. "A-Rod was not at that game," pro-poker player Dan Bilzerian told the Daily News. "It's ridiculous." Bilzerian claimed to be the main source of the Star story, but insisted the magazine got it wrong. "I would remember because I got stiffed," said Bilzerian, adding that the game took place at Leibel's house in November 2009. "He wasn't there, I'm telling you," Bilzerian said of A-Rod. "He was playing in the World Series at the time." Shockingly, Bilzerian's defense has made it into very few stories about Rodriguez playing poker. The revelation that Albert Belle indulges heavily and frequently in sports betting had barely come to light last week when the pooh-poohing began. Even before pledging that baseball would investigate Belle's gambling, acting commissioner Bud Selig reminded the press that betting pools and friendly wagers are a part of every big league clubhouse. Jerry Reinsdorf, chairman of the Chicago White Sox, the team that signed Belle to a five-year, $55 million free-agent contract in November, said he was "not worried" because "there is no indication Albert bet on baseball." Belle himself downplayed the gambling issue, telling USA Today that he did not bet on baseball and that he and his teammates merely bet casually on other sports. Said Belle, "It's no different than anyone else's office pool." Aside from the fact that nothing was done to Belle, I also found that Selig information interesting. Players owing money to each other, especially when some of them may be rookies or journeymen making the league minimum, is apparently okay with Selig. (And remember that anybody tells you about MLB's zero tolerance policy on gambling.) But a guy worth hundreds of millions playing poker with Hollywood A-listers is the crime of the century. Good grief. There's also been all sorts of speculation about whether MLB will suspend Rodriguez. Aside from the fact that baseball will look to have misplaced priorities in suspending somebody for playing cards, when six MLB players have gotten DUIs this year, and none of them received any disciplinary action from baseball, there is the fact that there is nothing in MLB's rules that prohibit playing poker for money. The only rule regarding gambling is Rule 21, which specifically addresses betting on baseball. Not playing poker with Ben Affleck and Matt Damon. And forget about the idea of having A-Rod's contract voided. In contract terminations, MLB's Collective Bargaining Agreement allows the Players' Union to get an arbitrator to hear the case. And historically, the players have usually won here, as a Sports Illustrated story from last year shows. Lamarr Hoyt was convicted on drug charges, and still ultimately got paid. And Sidney Ponson and Denny Neagle ended up getting most of the money owed to them, despite drunk driving (Ponson) and prostitute solicition (Neagle) issues. Anyhow, I guess it's too much to expect any sort of perspective or context from the press when it comes to Alex Rodriguez. But, what else is new? Tuesday night was not the first time that Squawker Lisa and I attended a Met game in which an error by the Met second baseman turned a one-run lead into a one-run loss. It wasn't the Subway Series and it wasn't the over-the-hill, payroll-clogging Luis Castillo, but it was excruciating all the same. I've bought into trading Carlos Beltran and Francisco Rodriguez. I'm content for this year to root for the Mets to finish over .500 and finish ahead of the Marlins and Nationals. But what I'm not content with is losing four in a row to the Marlins and Nationals. Sure, the Mets were a better team with Beltran and K-Rod. But they're not making the playoffs with an infield that seems to make a critical error each night. They may be fourth in the league in runs scored, but their offense seems to alternate between powerhouse and puny. Last week, the Mets scored 38 runs while winning five in a row. They've followed up with scoring eight runs in a four-game losing streak. Sometimes the Mets look great, sometimes they look awful. It averages out to mediocre. Perhaps the quintessential 2011 Met is Daniel Murphy. He's fifth in the NL in batting at .319. And yet, on a team with few consistent hitters, Murphy's defensive woes make him far from a lock for the lineup down the road. Justin Turner is no Castillo. He's a promising rookie who made a rookie mistake. But as with Murphy, it's unclear whether he is part of the future or the bridge to that future. I know the Mets are a ways from being a contender. I just don't like to be reminded of it in the way I was Tuesday night. The last time the Mets lost three consecutive games in their last at-bat was June 10-12, 2009 (two extra-inning losses vs. Philadelphia and a loss at Yankee Stadium). Yes, the last time the Mets lost their third straight game in their last at-bat was the Castillo game. I've got to stop going to Met games with Squawker Lisa! I was just about to write about how I jinxed the Mets with my presence last night (more on that in a later Squawk) when I heard the big news that Alex Rodriguez could face suspension from Major League Baseball for being rumored to have played in high-stakes poker games. First off, as was emphasized the last time A-Rod played in one of these poker games, it's not illegal to play in them. It is illegal to charge admission into the games, or to take a cut of the pot. In "Guys and Dolls" talk, good ol' reliable Nathan Detroit (Frank Sinatra in the movie) would be in trouble, not Sky Masterston (Marlon Brando in the film.) But I digress. Also, as ESPN New York Wallace Matthews' interview with an MLB executive notes, while the league has two investigators working on the case, "MLB has yet to positively determine that Rodriguez took part in the games," but that same executive is talking to Matthews about suspension time , saying that "Because he had been warned about this before, I would say a possible suspension would be very much in play." Glad to know MLB is talking about punishment before finding out if he were actually involved in the crime! Who said due process was dead? This same exec tells Matthews, "I could see us trying to pursue this a lot further. The truth is still out there somewhere." Good grief. Are they going to get Scully and Mulder on the case? "Bud's totally fed up with him," said a baseball insider. "It's like there's something new with him every day and it's impossible to keep up with it." Actually, it's been very quiet on the A-Rod front in recent years, unless you consider being fed popcorn by Cameron Diaz in the Super Bowl the scandal of the century. At any rate, whether or not Bud Selig is tired of A-Rod drama shouldn't matter. What is at issue is whether he broke the rules of baseball. And if playing poker for money is against MLB rules, then shouldn't that be enforced with events involving the team, like poker games in clubhouses and on team planes? Heck, I seem to remember Rickey Henderson and Bobby Bonilla playing poker when their New York Mets were losing a playoff game, yet there was no big investigation of them. Anyhow, my friend Stacey Gotsulias had an excellent point in her "Spreadin' the News" blog. She noted that six players have been arrested this year for drunk driving, and none of them were suspended from baseball for their DUIs. As Stacey notes, "If MLB isn’t going to suspend people for being arrested, why are they going to suspend someone for not being arrested for something?" Excellent point! Finally, would any of this be the subject of an MLB investigation if it weren't A-Rod? Of course not. Former Met Jeff Francoeur wrote a $50,000 check last year to then- Mets clubhouse manager Charlie Samuels. Jeff said $35,000 of it was to repay a loan from Samuels (who made 80K a year) so Frenchy could buy his parents a car in cash without his parents knowing the cost. As Craig Calceterra wrote in the article linked above, "No one ever suggested that Francoeur did anything wrong... but it did raise eyebrows." But imagine if it had been A-Rod instead of Francoeur. Would "fed-up" Bud Selig have looked at it differently?